Dragonfly Training took a Practitioner Guided approach to working through the Chapter Companion Courses on the Watertight Webschool. Based in Penarth, South Wales, Dragonfly Training was established to offer teachers a more exciting alternative to the theory-based training so often found in schools. It was founded and run by former teacher Stephen Chapman in 1999. Now, the business operates in more than 50 countries, with over 250,000 teachers trained from more than 3,000 schools. 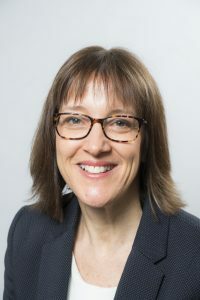 After sharing their marketing frustrations with a fellow business owner, Dragonfly Training were referred to Watertight Marketing Certified Practitioner, Kara Stanford [Licensed 2014-19], in February 2017. Kara’s immediate suggestion was that they stepped back from what Mary described as the ‘crazy rush of delivery’ and gain some badly needed clarity. It wasn’t that Dragonfly Training hadn’t tried marketing, the problem lay in focusing on tactics rather than having a strategy. As such, time was invested in social media with the only noticeable difference being what it cost them each month. At the same time the business was making the dangerous mistake of saying ‘yes’ too readily and falling into the ‘yo—yo marketing’ trap of constant delivery, and then frantically sending out brochures when things went quiet. See: Are you stuck on the yo-yo marketing diet? Kara ran a one day workshop with the three Directors that quickly identified a missed opportunity. The Dragonfly team were talking about the features of what they did (delivering training in schools) — rather than the actual benefits they brought their clients. Focusing on the benefits (which is what clients really want to hear about) helped Dragonfly Training identify where their real value lay — and who their ideal clients would be. Kara’s help led to Dragonfly Training creating a new mission, vision and market segments based on solving their customers’ problems. It was the catalyst for transforming the business into one that they not only felt more confident about, but one that began to make more money. See: Do your clients sustain you energetically and financially? Kara’s other recommendation was that the business gain marketing knowledge built around a proven structure for building sustainable growth. No more random social media, it was time for a marketing investment designed to pay back. 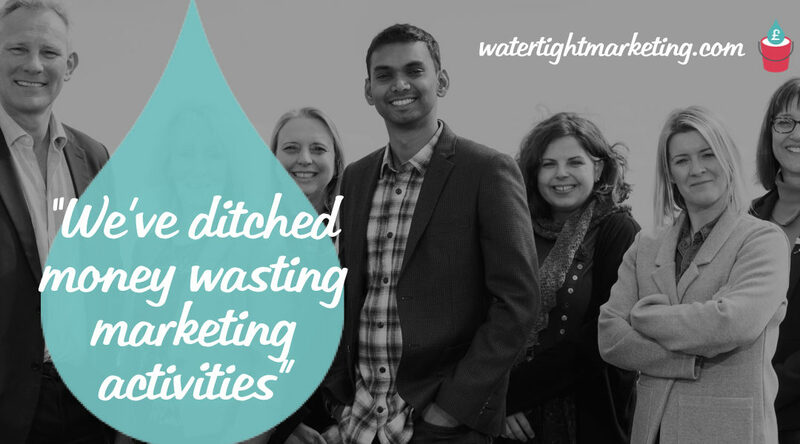 As a result, Mary stepped forward as the director responsible for marketing – and, on Kara’s recommendation, joined the Watertight Marketing Masterplan programme (now packaged as Chapter Companion Courses in Watertight Webschool). As part of the Companion Course to Chapter 2 in Watertight Webschool, Dragonfly Training reviewed their marketing against the Thirteen Touchpoint Leaks™. This is Watertight Marketing’s bottom—up analysis that identifies how businesses lose both customers and profit from their marketing activities — and creates a traffic light action plan of priorities, putting those that need immediate attention at the top of the list. So, what leaks jumped out, and what did they do as a result? We’ll look at the top three in order of priority. Leak #1 looks at your relationship with existing customers — the bedrock of any successful business. When you don’t stay in touch with customers, they are likely to forget about you. When it comes to buying again, or recommending to friends, your name may not come to mind. The Forgotten Customer leak is one of the most crucial to any business, which is why it underpins the whole Watertight Marketing methodology. It simply makes no sense to spend money attracting new business. Your existing customers form the core of the business you already have — and will spend more, and tell others about you. In our experience, a fix for this leak needn’t be complex — or expensive. Leak #2 recognises that there is a critical time period between when a person has bought something, and when they consider themselves a loyal customer. This is the Welcome Window, and is your chance to make a lasting impression. Dragonfly Training recognised that they didn’t have a structured welcome approach to their new customers. Their geographically dispersed customer base also meant that personal contact would be a challenge. Leak #4 addresses how easy it is for customers to buy from you — and the more you can do to give them a flavour of what it would be like as a customer, the better. This is often achieved by designing a service that helps buyers understand and visualise how they might work with you. Mary recognised that they didn’t have a lot in place in order to help customers trial their service. She identified two assets that could come together to help address this. Their customer database, and the fact that they sometimes have spare capacity on their courses. It offered the means to create a ‘try before you buy’ experience that has been very inexpensive to run. Mary and Dragonfly Training joined the Watertight Marketing Masterplan in April 2017. They are already able to reflect on much that has been achieved on the course, and with Kara’s additional input. Reflecting on the Watertight Webschool course and working with Kara, Mary sees benefits beyond the purely financial. Being better equipped for growth and more assured in their approach has freed up more time — so why not enjoy it?